My sci-fi journey continues with the Great Movies – 100 Years of Film book, as I dive into the first title recommended following a viewing of King Kong, which I’ve previously reviewed here. The most enjoyable aspect of this film, is Ray Harryhausen’s animation of the titular monster, which is vaguely Saurian, but unlike anything else we’ve seen previously. The film itself was suggested by a story by Ray Bradbury and features an appearance by a rather young-looking Lee Van Cleef. In the Arctic, a nuclear test is underway, oddly called, Operation: Experiment. When the bomb explodes, it shatters and destroys ice shelves and packs all around the detonation site, and rouses a beast that had been frozen for millions of years. When some of the scientists, including Professor Tom Nesbitt (Paul Hubschmid) go out to investigate readings, they encounter something that no one else believes, and refuses to follow-up on. Even when reports start to come in from along the Canadian Coast, which Nesbitt tracks down, following up with each and every witness he can find, no one will believe him. Except for Lee Hunter (Paula Raymond), a lovely paleontological assistant. Hunter eventually persuades her boss, Professor Elson (Cecil Kellaway), to at least listen to Nesbitt, and slowly the information begins to win him over, just in time for the creature to show up in New York. Because where else would a recently resurrected monster go? 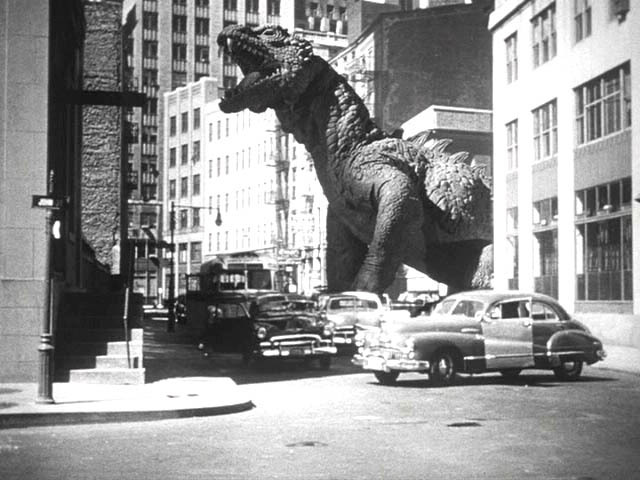 This is where Harryhausen’s work really shines, and the beast is at its best when he’s trouncing the city, plowing through walls, scaring the locals, and trashing landmarks. This is truly enjoyable just from a special effects angle, as Harryhausen continues to be the master, and the bar by which so much other work has been judged. All of it races to a conclusion, alongside a blossoming romance between Tom and Lee, as the beast makes for Coney Island and starts to make a mess there. And this is where Van Cleef comes into play. He’s going to stop the beast before he trashes another coaster. In the end, the story itself comes across as mostly forgettable, but it’s watching Harryhausen’s work that makes this film shine, it’s just stunning to watch this creature come to life, knowing that it inspired so many future filmmakers, paving the way for so many other monsters and aliens that have thrilled and chilled us. 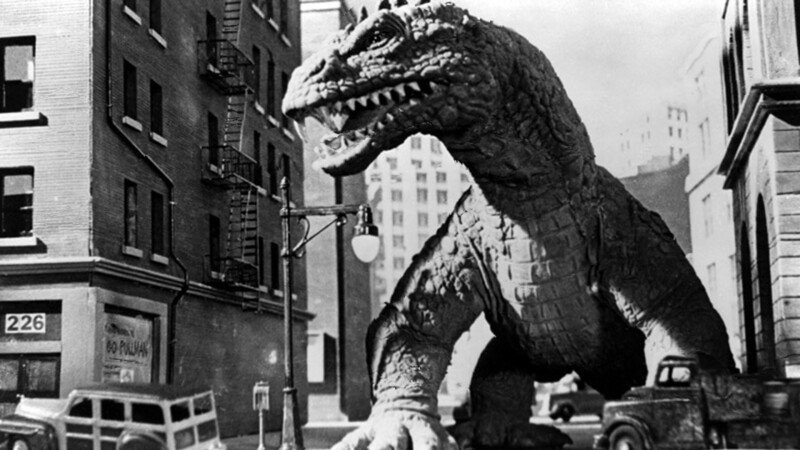 What’s your favorite Ray Harryhausen film?